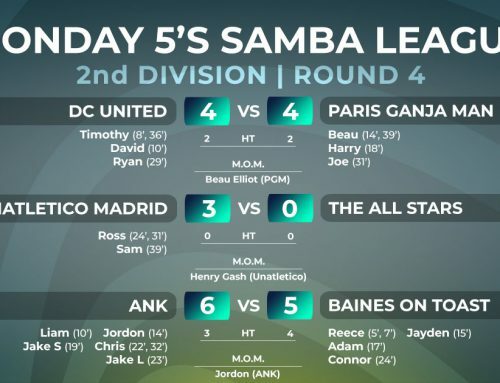 Kicking off the first game of their season, The All Stars faced a Paris Ganja man side hoping to get back to high times after a defeat in their last game. 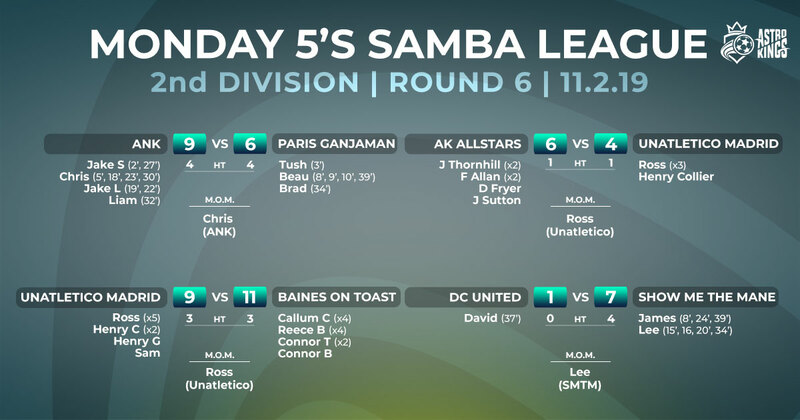 The first half was a one-sided show, and with Jake on form for All Stars, they headed into the break three-nil up. 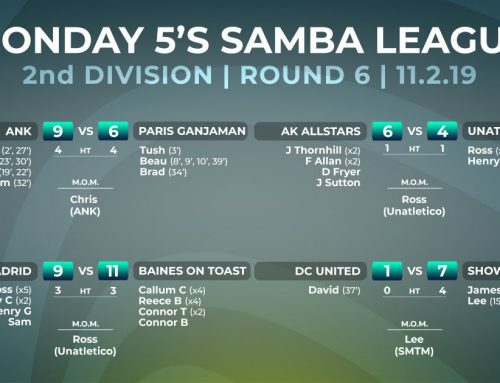 If All Stars hoped for a whitewash, Beau and co. had other plans. 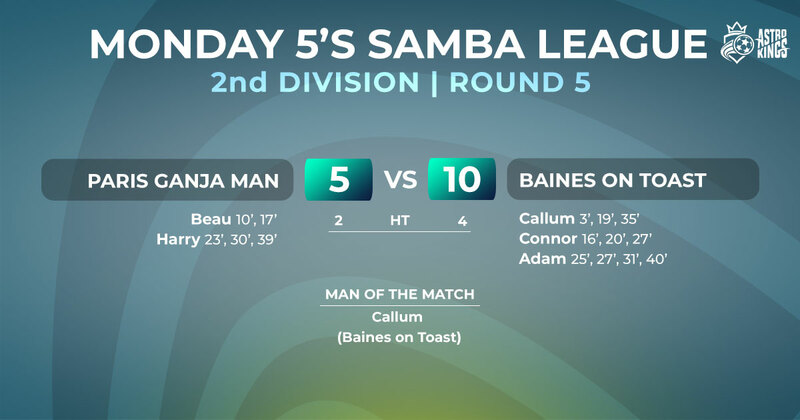 Not to be completely smoked-out, Ganja Man sparked into life and started to find the back of the net. 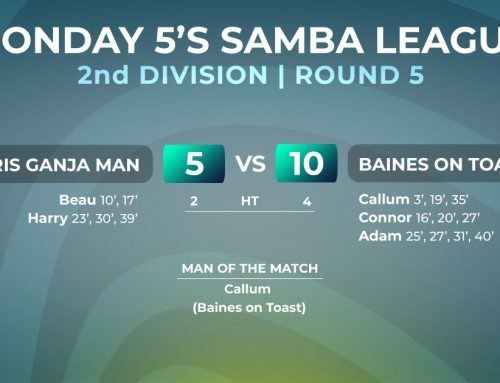 However with Jake’s five goals for the Stars, the game was surely out of reach. 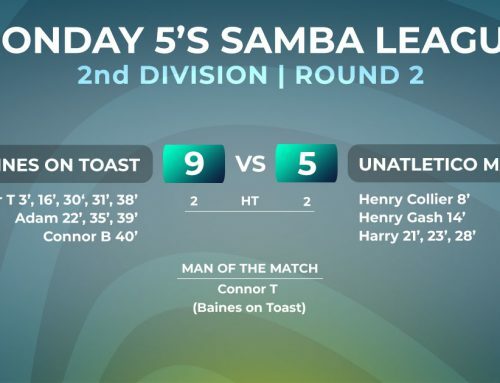 Ganja Man peaked in the final minutes and pulled the game back to a respectable seven-five loss. It seemed Ganja Man was late to the party, there just wasn’t enough time for a comeback tonight. 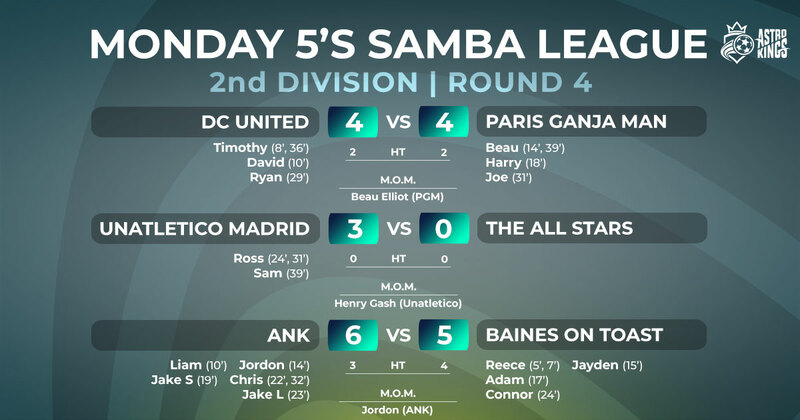 Still looking for their first win, Unatletico Madrid faced an ANK side tonight that have one win from one. 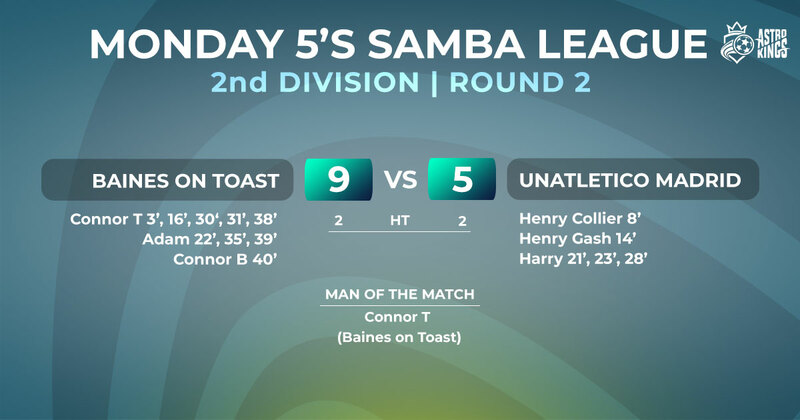 It was a dream start for ANK, when Elliot opened the night’s scoring in the third minute, and just five minutes later, he’d bagged a hat-trick without reply. 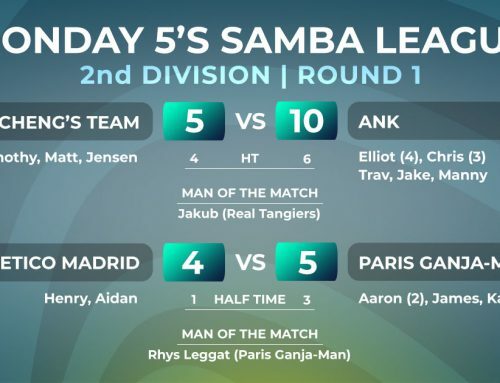 The half saw more goals from both teams, and the scores stood at six-two to ANK at half time. Scoring late in the first half gave Madrid momentum to keep up the pressure in the second, and the gap soon stated to close. 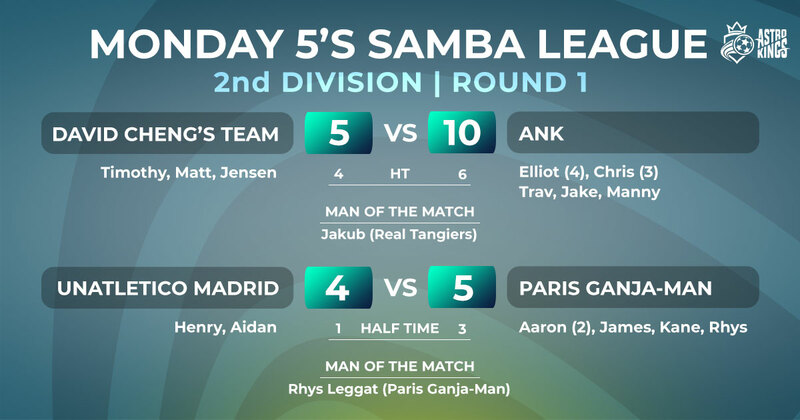 Goals from both Henrys for Madrid, and both Jakes for ANK kept both teams on the attack. 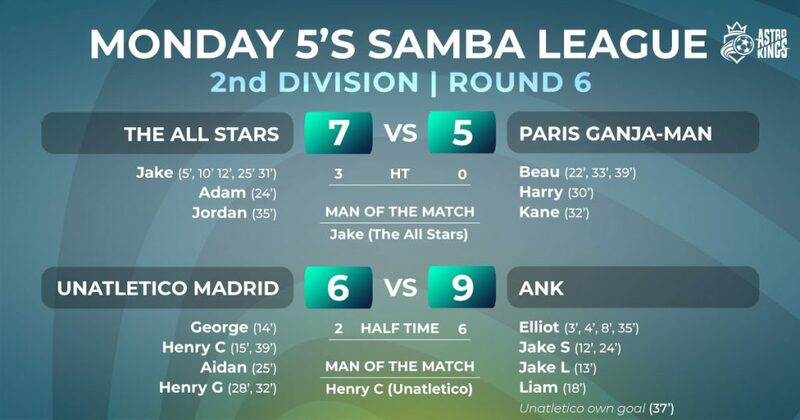 A Madrid own goal late in the game perhaps put the victory out of reach for them, but superb finishing from all players on the night created a nine-six scoreline at the final whistle.